Nikki is a golden retriever with a beautiful soft red coat. We got her from the Golden Retriever Rescue, and since then, everyone she has met has fallen in love with her. She loves other dogs, people, food, and petting. 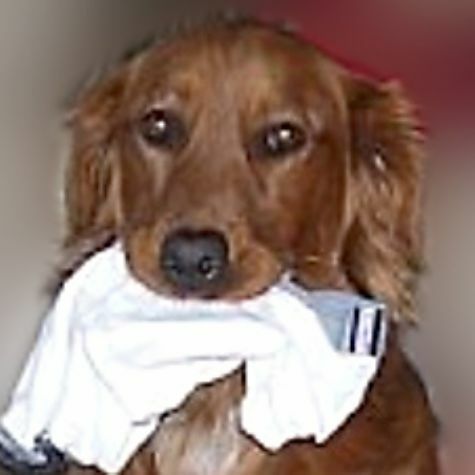 Her favorite job before Love on 4 Paws was fetching our socks and underwear out of the laundry and running around the house with them.